Note: The care and nurturing the Pineal Gland is of vital importance today, because our toxic environment has numerous ways to debilitate it. 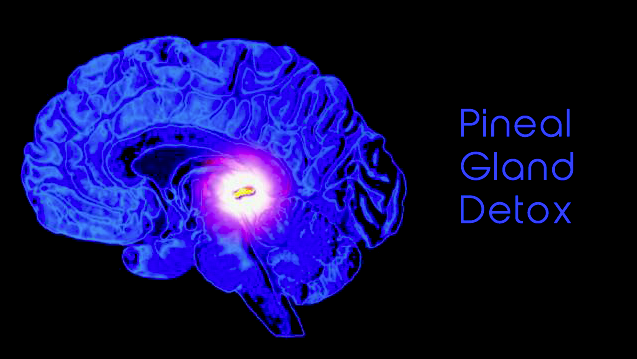 This post includes two articles about the same topic: restoring your Pineal Gland to health. The first is from humansarefree.com and the second is from thehealersjournal.com The first is a shorter article that gives you some basics while the second gets into more detail. Cleaning up the Pineal Gland is useful for those wishing to develop their multidimensional perception. The Pineal gland will naturally make its own DMT when fully operational and we will be able to remain in a visionary state most of the time. An awakened pineal gland brings the ability to consciously astral travel, explore other dimensions, foresee the future and receive communications from loving dimensional beings. DMT is a component of Ayahuasca – a plant medicine from the Amazon that brings profound physical and heart healing through its purgative effects and the perception of other dimensions. Those that use this medicine go into a period of “work” where issues come into awareness and can be healed with the insights that come from DMT consciousness. The advantage of cleaning up our pineal gland so it makes its own DMT is that we can be in a continuous state of spiritual “work” and we are spared the purgative effects of drinking the ayahuasca. Thus we no longer need any medicines as an adjunct to our spiritual lives. DMT is a totally natural substance that the human body will manufacture and distribute when it is in a healed state. Thus it would appear human beings were intended to be visionary beings and be able to tap into the information in other dimensions. This dimensional perception transcends the ego and rapidly heals our sufferings, conflicts and thus karmas. Mercury – this is really bad for the pineal gland. It’s poison. Don’t let this get into your body. Mercury tooth fillings are pineal toxins. Have them removed. All medical vaccines are also mercury tainted. Thimersal (a vaccine preservative) is methyl mercury and is very difficult to get out of the brain once it’s in there. Avoid eating fish and bottom feeders such as shrimps and prawns. Tuna and dolphin meat is particularly bad for mercury – the bigger the fish the higher the concentration of mercury in its body tissue.Eco light bulbs – if one is smashed mercury vapour is released into the room and inhaled. Avoid at all costs breaking one indoors.Mercury can be removed from the body by the daily use of chlorella, wheatgrass and spirulina. Cilantro herb taken daily can help remove mercury from brain tissue. Fluoride – in toothpastes and tap water. It’s another heavy duty poison. Avoid it at all costs. It calcifies the pineal tissue and basically shuts the gland down. Organic foods – some pesticides are pineal toxins. Organic healthy food with a high ratio of raw is supportive to pineal detox. Meat is not helpful either. Some people who channel seem to not be affected but for many the toxicity and density of meat will pose challenges and we want to make the work easy if we can. Alcohol + smoking – Naturally these need to go along with the emotional attachments to using them (usually boils down to self worth issues or unresolved trauma). Heart Healing – raises the overal vibration of the being and heals fear – a useful advantage for when we start seeing other dimensions. Other toxins – if something is toxic do not put it in your body. If you can’t say it’s name, is most likely bad. Toxins include artificial sweeteners (aspartame K) , refined sugar, phylenanine (in squashes), E numbers beginning with 1, deodorants, cleaning chemicals, dental mouthwashes (saltwater is suffice) and air fresheners. You rｅcognize what Pastor Johansson told us on Sunday is that God actually likes worship.